Veteran music composer, singer and lyricist, Ilaiyaraja is a name that needs no introduction. The music maestro, in a span of over four decades, has won the hearts of music buffs not only in South India but all over universe thanks to his masterpiece score in Hindi movies as well as in English. The legendary music directors turn 71 on June 2, 2014 hence to mark the great day 'Isaignani Fan Club', the registered fan club of Ilaiyaraja has decided to celebrate his birthday in a unique style. Instead of cutting the customary cake and having fun the fan club has decided to plant 71,000 saplings across the state of Tamil Nadu and save mother earth from global warming. According to reports the club was officially launched on April 5, 2014 by Bhavadharani, daughter of Ilayaraja, along with her team at Madurai. Karthik Raja, the eldest son of the maestro, is the chairman of the club. The club boosts over 10 million registered members, including singers and musicians. The club has an official website and those ardent fans of Ilayaraja can get recent updates about Ilayaraja by logging on to www.isaignanifanclub.com. 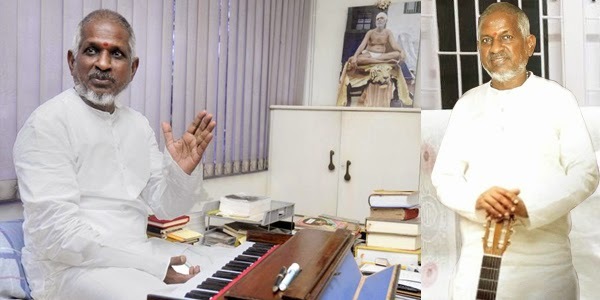 Ilaiyaraja who has over 900 films to his credits in multiple languages and is presently busying busy composing tunes for R. Balki's yet-untitled Hindi film and few South Indian movies. Raaga.Com wishes the legendary music maestro Birthday greetings in advance and prays for his good health and brilliant future. Raaga.Com as a Birthday gift presents it readers a bouquet of TOP 20 Most Popular Milestone song in the illustrious career of Ilaiyaraja sir.